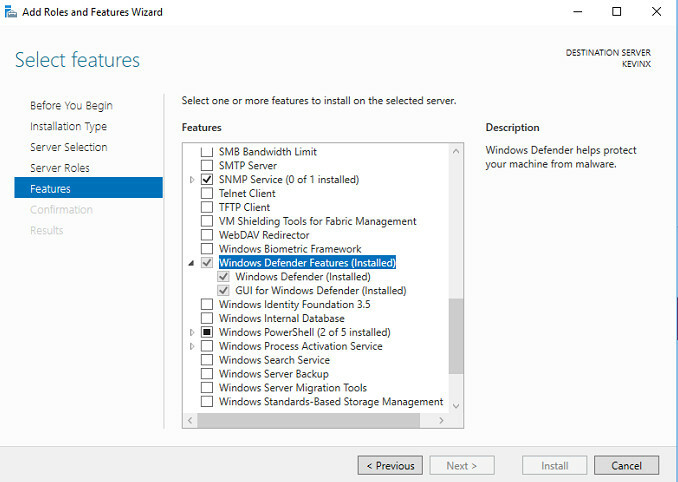 I have my own security software I use on Windows Server operating systems and take out Windows Defender. Normally, I can do this through Feature removal, but the option to remove Windows Defender was unable to be removed from the manager. To remove, I used Powershell.